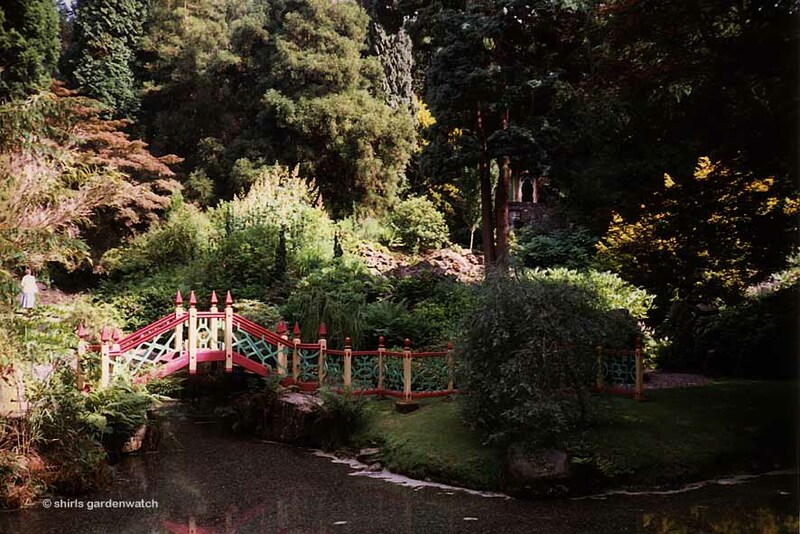 Biddulph Grange Garden was the pick for last weekend’s virtual garden visit. Sorry I’m late with this but I am guessing blogging time for everyone is running short just now. If you are looking for some time out then perhaps pouring yourself a cuppa and taking a virtual stroll round this garden in Staffordshire, England might just be the ticket. I’ve two videos for you this time (each being just over 3 mins). 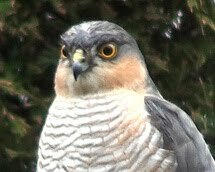 The second video, I discovered on the National Trust page on wildlife at the garden. 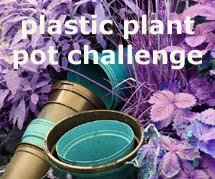 It is a chatty mix from volunteers and staff at the garden encouraging us to take a closer look on visits to Biddulph Grange. I enjoyed this one too. 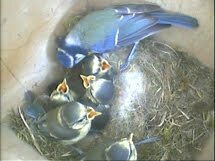 I’d say the message of taking a closer look rings true to any garden visit and to our own gardens also. Video of Biddulph Grange Garden (not produced by me). 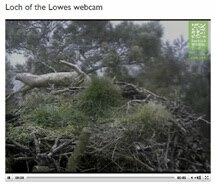 Video by National Trust video. Aside from these wonderful views and possible wildlife sightings at this garden the absolute favourite image that comes into my head from this garden was on our second visit. 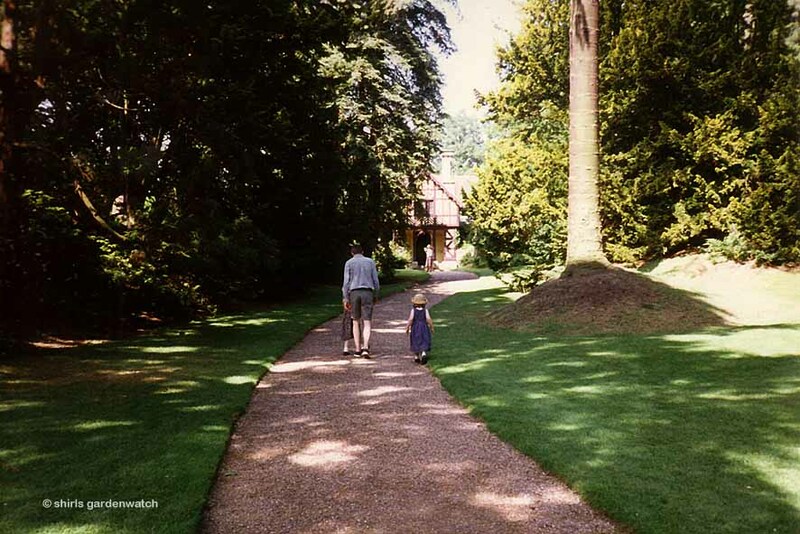 Our daughters were quite young and enjoyed skipping just ahead of us along the many paths and doorways (dahlia walk shown below). On our third visit to Biddulph Grange our method for enjoying a garden visit with children pre-teens was to let them film it with their own interview chat. 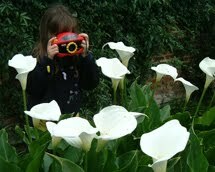 Yep… the video cam garden tour was a winner and entertained us for many years on future garden visits! I remember the fun they had on this one. I also remember the feeding of the rather large carp in the pool below and a lovely lunch in the Tearoom in the main house at that time). Back (pre 1990) we watched a television programme (BBC or possibly Channel 4) on the restoration of a statue in a garden. 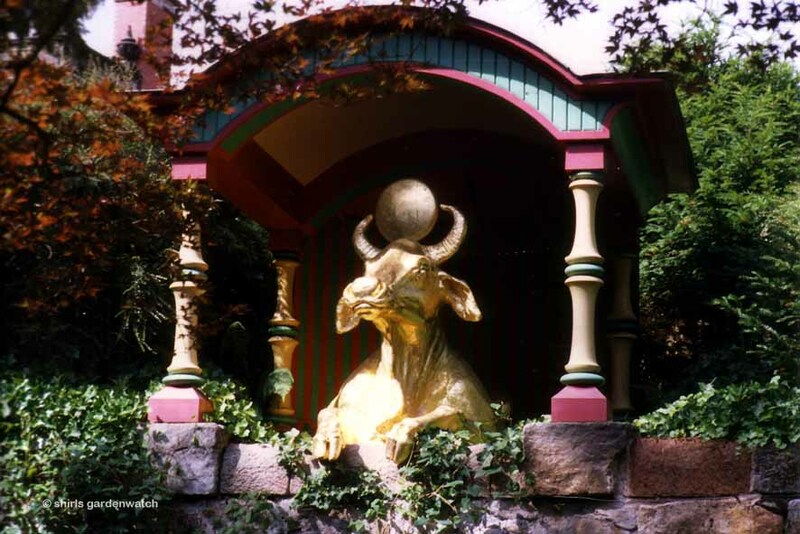 The statue was the gilded water buffalo that overlooks the Chinese Gardens at Biddulph Grange. From memory the rather large statue was worn and possibly had a break in the horns. Again from memory, I believe the buffalo was lifted from the garden and taken to a studio for its restoration where it was also re gilded. I also have memories of the ground being muddy when the statue was either removed or returned. It was after following this story we were keen to see it restored and back overlooking the garden again. I’m thinking the Temple and bridge saw some new paint and gilding too. Now then, my searching for info on the Buffalo did lead me to one particular document that caught my eye. The document was a Consultation Draft for the Biddulph Grange Conservation Area Appraisal by Staffordshire Moorlands District Council back in 1988. Yep… some history on this garden! “The garden was well maintained up until World War 1. However in 1924 the Heath Family sold the estate following the collapse of their business. Biddulph Grange, the house and gardens, was given to the North Staffordshire Cripples Aid Society and became a hospital in 1924. The gardens nearest the house were buried as hospital wards were extended. The rest of the garden continued to be managed for 60 years by 3 gardeners. However by the 1960s neglect and vandalism were taking their toll. "The importance of the gardens was recognised in the 1970s, when the Conservation Area was designated and a number of buildings were listed. 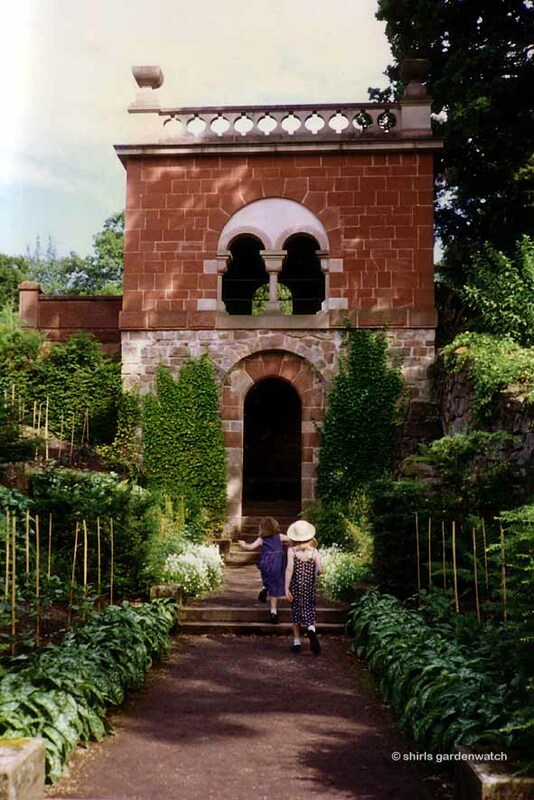 In the 1980’s the Garden was included on the Register of Historic Parks and Gardens, maintained by English Heritage and further structures were listed. A steering group was then formed to take on the long term maintenance and restoration of the garden. The Garden was surveyed and its profile was raised by a number of articles. "In 1988 the Health Authority sold the Hospital. 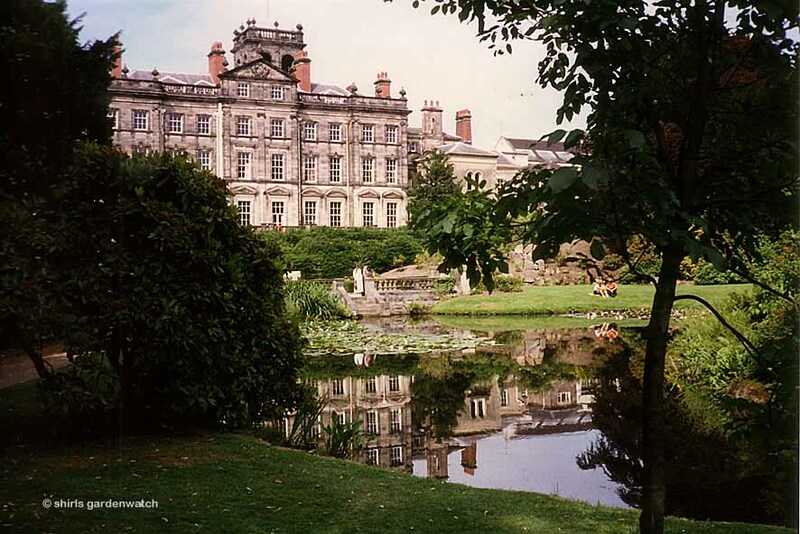 Staffordshire Moorlands District Council took over the estate and formed Biddulph Grange Country Park, which has over 10, 000 visitors a year. 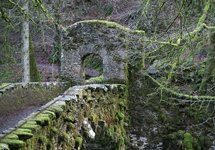 The National Trust purchased the garden and carried out its largest garden restoration project." "The second James Bateman (1811-1897) created the gardens at Biddulph Grange. As a boy he was fascinated by plants such as tropical fruits and orchids and as a student at Oxford, he commissioned plant hunting expeditions abroad. In 1837 he published his first volume of botanical studies, The Orchidaceae of Mexico and Guatemala, which established his reputation as Botanist." Oops, I’ve posted far too much text here… sorry, I got a bit carried away on this one. Don’t know if I’ll manage another post before Christmas but just in case I don’t I’d like to wish you and yours a wonderful time over the festive/holiday period. 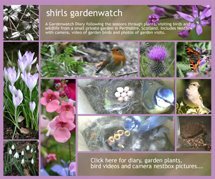 This post was written by Shirley for shirls gardenwatch in December 2011. The photos in this post were pre digital, they were scanned and enhanced to be shown. Really interesting, Shirl. I went there last year for the first time and was fascinated. Mr Bateman was a fascinating man - I had a tour of the geological gallery when I went; a reconstruction of the geological timescale, overlain with the creation story. Thanks for such an interesting post! I've heard of it but never been there, Shirly. Interesting information to put the garden into context. Enjoy the Festive Season! Just calling in to wish you a merry Christmas, Shirl - hopefully I should have time to catch up with my reading of your blog again over the next few days! Thanks for sharing those beautiful photos. Baby its wild out there!